Banning work contact outside of business hours viable solution? German labour minister Andrea Nahles has just commissioned a comprehensive study that aims to establish a definition of work-related stress and calculate the economic cost it brings - research many feel could open the door to an “anti-stress” act. Part of this act, which has already been drafted by the German metalworkers’ union, would include a demand that workers be protected from being "permanently reachable by modern means of communication" such as email or mobile phones, as reported in The Guardian. And Germany isn’t the only country looking to make the move: In fact, earlier this year France brought in rules to protect employees from work disturbing them outside of office hours. The deal says that employees will have to switch off work phones and avoid looking at work email, while businesses are not allowed to pressure staff to check messages. In other parts of Europe; Belgium and the Netherlands have both now explicitly listed burnout as one of the health risks from which employers are required to protect their workers. In a discussion about demanding jobs, it can’t be denied that being a lawyer would be right up there. No strangers to the 80-hour week, studies have revealed that Australian lawyers are more likely to experience symptoms of depression than any of their professional counterparts. But is the solution as simple as creating laws to inhibit the obligation to work outside of business hours? Australasian Lawyer posed that question to a number of Australian firms in order to ascertain whether such a move would help or hinder the profession Down Under. Mills Oakley special counsel Clayton Payne says in Australia the Fair Work Act refers to employees being required to work no more than 38 ordinary hours a week, together with reasonable hours. But the problem is what constitutes reasonable hours varies, and Payne agrees that salaried lawyers would probably be expected to work a greater number of additional hours to fulfil their duties than someone working in another occupation such as manual labour. He says some of the considerations taken into account to determine whether additional hours are “reasonable” include the usual patterns of work in the industry, the nature of the employee’s role, and the employee’s level of responsibility. But Payne doesn’t believe that restricting the amount of work that can be done outside of business hours is the answer. “It is difficult to see how such a law as the one proposed in Germany could be successfully implemented in practice in the Australian legal market. For one thing, commercial lawyers working in practices with international clients would find the proposal potentially impossible,” he says. Holding Redlich’s national human resource manager Helen Ayres agrees and says that practicing law means you’re not always governed by the 9am-5pm working regime. However, she says that there is no doubt the legal industry is high-pressure, and it’s vital that staff are encouraged to work in a way that doesn’t necessarily mean long hours. 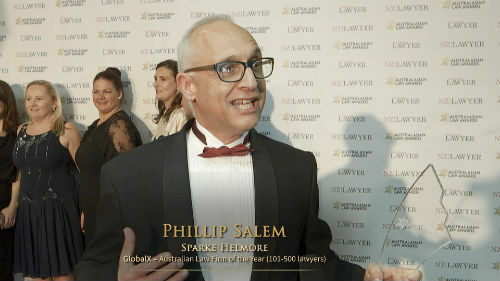 “Apart from normal business hours, there is not a set number of hours per week that lawyers are expected to work and be in the ofﬁce per se – when matters are ‘on’, we expect ‘all hands on deck’, but that is coupled with an understanding that they will be balanced with less demand for their work during the quieter times,” Ayres says. Marcus McCarthy, the principal of dispersed law firm Nexus Law Group, told Australasian Lawyer that he feels modern forms of communication – particularly mobile phones and emails – are contributing to work related stress and resulting in longer work days than ever before. Lawyers in particular are often expected to be available at any time for their clients and team, he says. But McCarthy also acknowledges the huge advantages of connectivity, and says the answer to the problem lies in personal balance and personal discipline, rather than more legislation. McCarthy feels that lawyers in particular actually like the connectivity and even prefer it, and as such a restrictive law would inhibit many modern workplaces. Warren Kalinko, CEO at innovative firm Keypoint Law, says such legislation wouldn’t work for lawyers, and a more effective way to deal with work balance issues is to “do away with billable hour targets”.